On twitter I posted this great article of the Astros great All Star and MVP second baseman, Jose Altuve, winning the "Sports Illustrated Sportsperson of the Year in 2017". 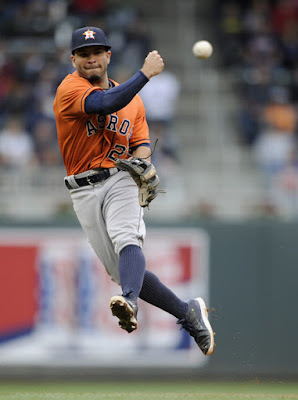 Jose Altuve, while maybe a small man in stature, only 5'6", is a very big man with a big heart and a big competitive spirit. But that doesn't stop some of my friends on the social media kidding about his height. One of my good friends, I won't call out his name but just say that many refer to him as the "generalissimo", who is a huge Angels fan, kiddingly tweeted to me about Altuve winning the great honor of sportsman of the year: "shouldn't he be standing on the box to make him look bigger instead of sitting next to it?" Well, I tweeted back to "generalissimo": "He doesn't need to stand on any box to hit HR's off the Angels pitchers."